Our advanced technology measures your progress to optimize your training. 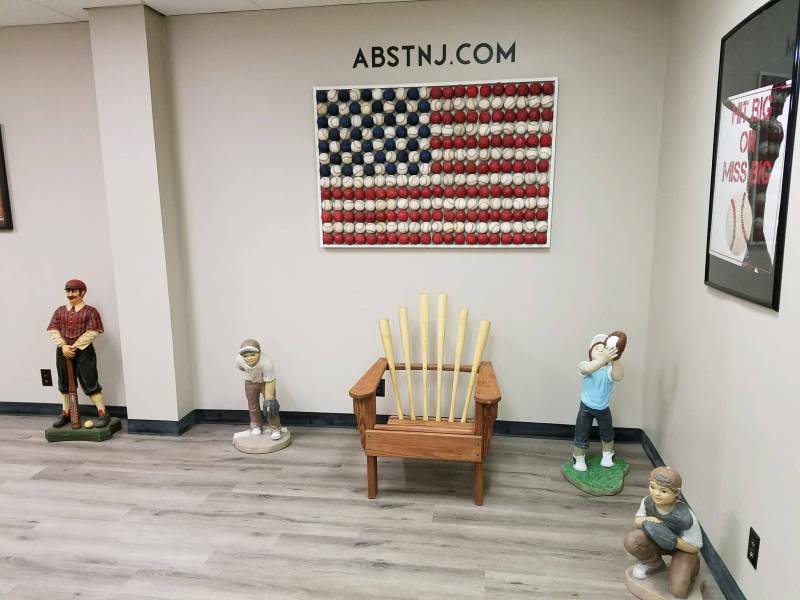 315 Fairfield Road, Fairfield, NJ 07004 Tel 973-287-6387Advance your hitting, pitching and catching abilities in our state of the art Baseball and Softball Training facility. Our top ranked instructors will help you measurably improve your skills. We offer a range of services for serious training and fun. 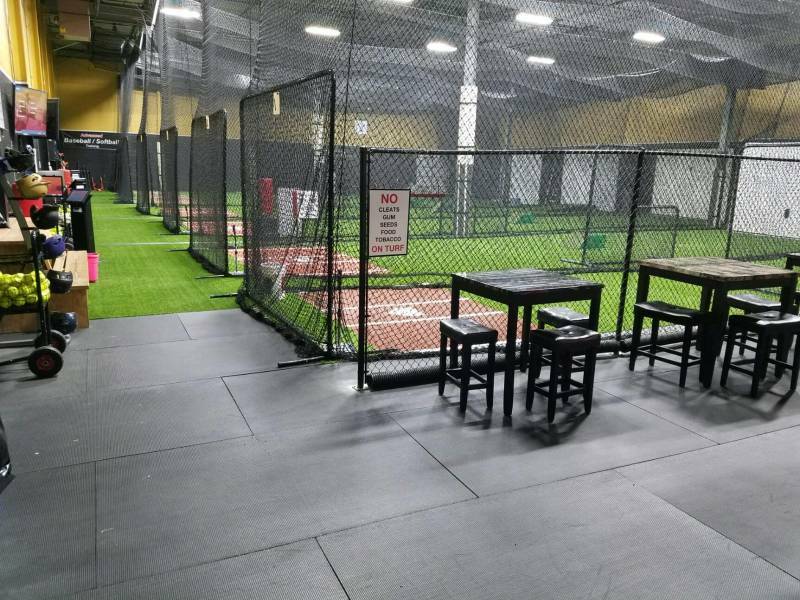 Official Training Facility for the NY Yankees AAA team the Scranton/Wilkes-Barre RailRiders. 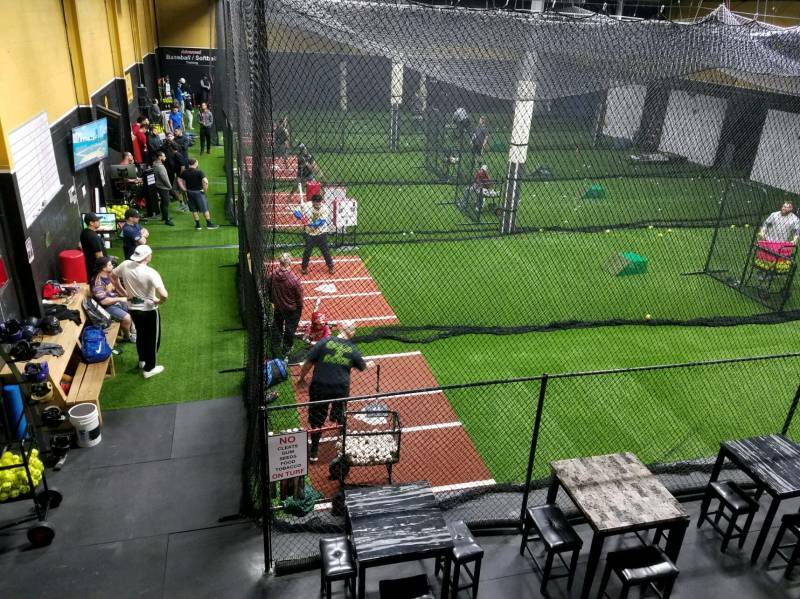 Advance your hitting, pitching and catching abilities in our state of the art facility. Our top ranked instructors will help you measurably improve your skills. We offer a range of services for serious training and fun. 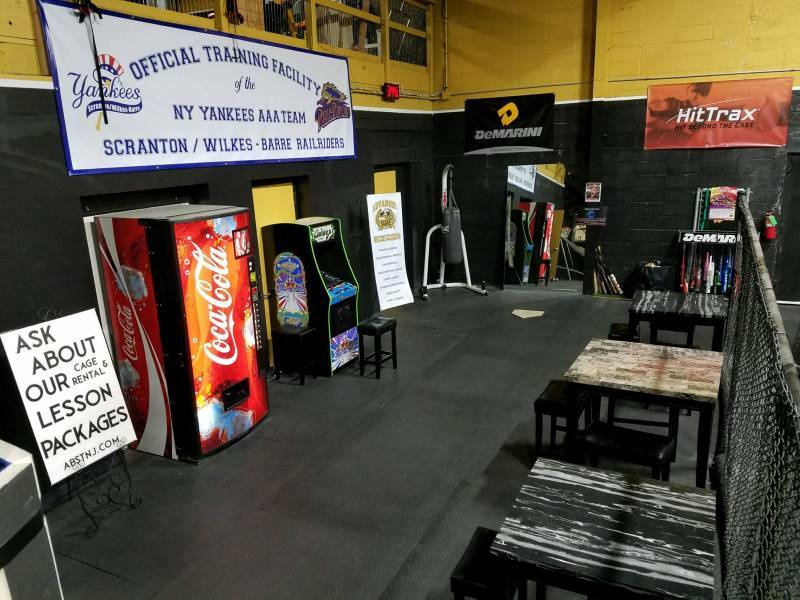 Official Training Facility for the NY Yankees AAA team the Scranton/Wilkes-Barre RailRiders. HitTrax, ProBatter and our patented Training Devices. Kevin was a four year starter at Montclair State University, as both catcher and designated hitter. He was a Four year All-State, Three Year All Conference, Three Year All-Midlantic Region player. He finished as one of the top ten players in school history, with 200 + hits, 25 home runs and 44 doubles, 9th in RBI and 5th in total bases. After college he played professionally for the Pro Freedom League in Arizona. 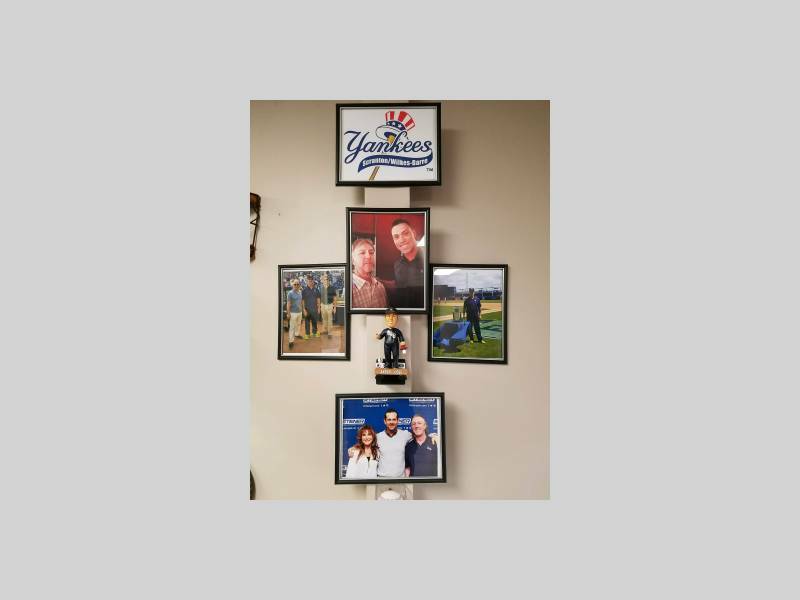 A three sport all state athlete(Football, Basketball, Baseball) at Wallington HS, Paul was drafted in the 5th round by the Detroit Tigers in the 1991 draft. He finished his high school career with a 38-8 pitching record which is the most wins in New Jersey history. He also finished with a career .375 batting average over 4 years, including hitting .435 with 5 HRs and 33 RBI as a senior. Magrini went on to play 3 ½ years in the Tigers chain, before an arm injury and Tommy John surgery sidelined his career a year and a half. He rehabbed and came back to have a successful minor league career in 5 years of independent stops in Winnipeg, Manitoba, Sioux Falls , South Dakota, Johnstown, Pennsylvania, and finally with the New Jersey Jackals. He finished with a 38-28 record with a career 3.74 ERA in 9 minor league seasons. He won 2 championships, in 1993 with the Niagara Falls Rapids (Detroit, NY-Penn league), and 1998 with the New Jersey Jackals(Northeast, independent). Magrini was 3-0 in playoff games for the Jackals in a 2 year span and won 18 games. He is a member of the Jackals 5 year Anniversary Team picked in 2002. He is available for pitching and hitting lessons as well as his velocity long toss program for HS pitchers. Mike was an all-conference selection and a two-year team captain at Cedar Grove H.S. He recorded a .340 average, 20 runs scored and 15 stolen bases as a senior. 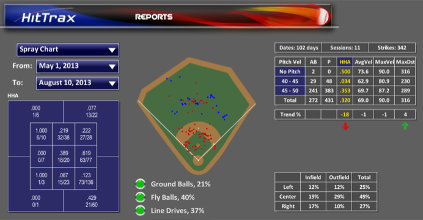 He hit .294 and drove in 25 runs his junior year. Mike posted a .333 average, 20 stolen bases and a team-leading 34 runs scored as a sophomore. He played for the Fairfield Pirates for five years. He also lettered in football and basketball. Currently he is playing College baseball. Nicole was a 4 year starter at Stockton University. 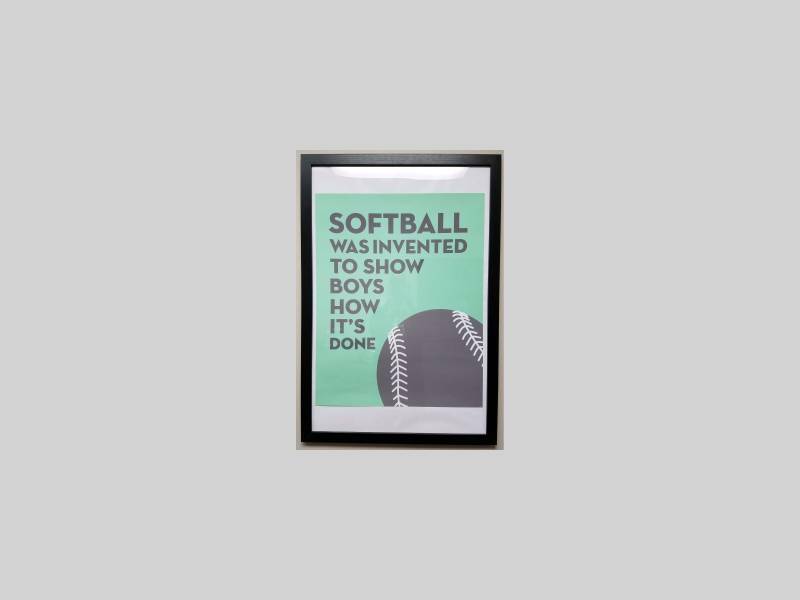 She had over 130 career hits, leading the team in runs. Nicole tied for the team lead in homeruns and had a .350 career batting average. She won Rookie of the Week 3 consecutive times, as well as Player of the Week. Nicole was one of the only players who started all 42 games each season, making only 1 error in her career at center field. Nicole has been coaching and giving lessons for 4 years now. Michael was the premier starting pitcher on the Montclair State staff during his years there. He was named to the New Jersey Collegiate Baseball Association Division II/III First Team All-State. As a senior, he led the Red Hawks in wins, ERA, and finished third on the team in strikeouts (38). His ERA and hits per nine innings marks ranked in the top 90 among all NCAA hurlers. After his successful college career he went on to play professionally for the Sussex Skyhawk’s in 2010 then the New York Federals in 2011. Robyn provides both Fast pitch pitching and hitting instruction. She has been giving private softball lessons for over 20 years. Robyn has a Bachelor’s degree from Montclair State University in Recreation and Leisure Studies. As a student athlete at Montclair, she was a three time All American and is also a two time recipient of the “NJ Athletic Conference Pitcher of the Year”. Montclair selected her as “Athlete of the Year” during both her Junior and Senior years. In 2014, Robyn was inducted into the Montclair State Athletic Hall of Fame. Prior to Montclair, she played softball for West Milford High School where she was elected “All conference, “All county”, and “All State”. 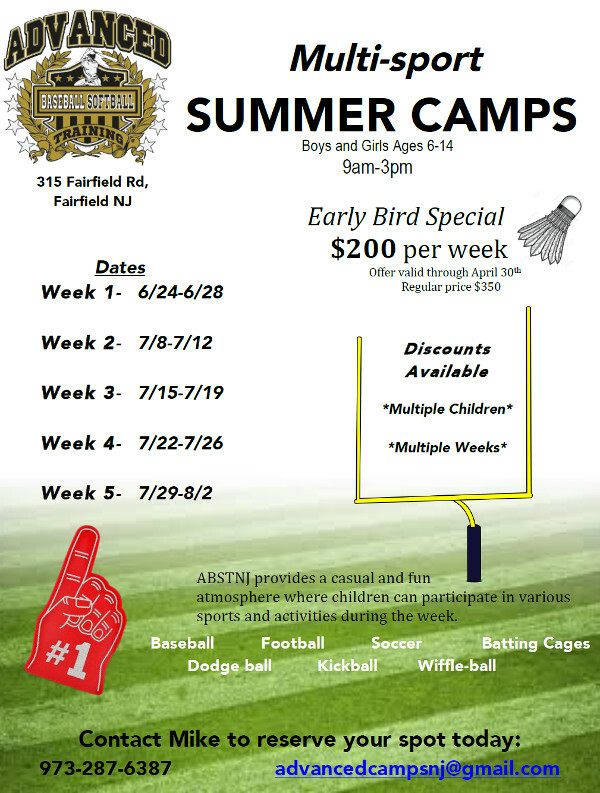 Hitting, Pitching, Fielding, Throwing, Base-running and Catching. 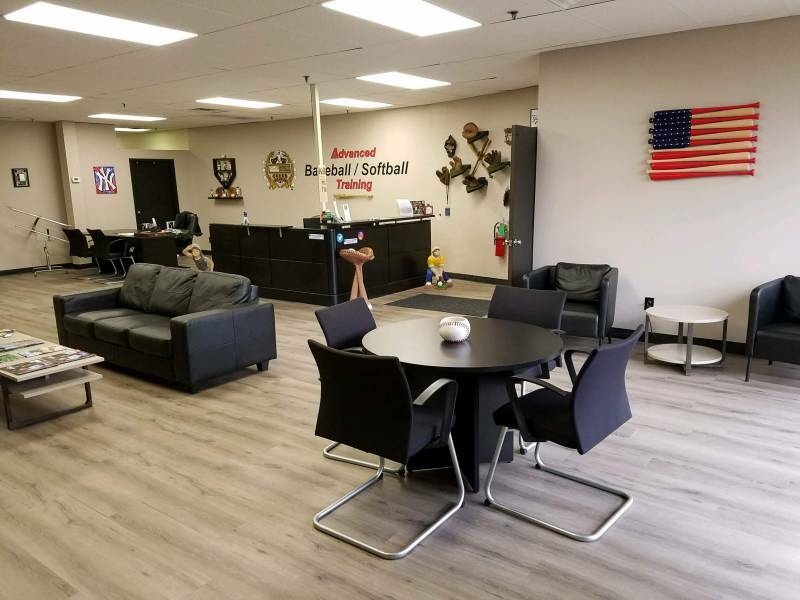 Advanced Baseball and Softball Training provides the cutting edge training experience not found elsewhere. Our experienced instructors have the ability to work with athletes of all ages and skill levels. We work on their technique and understanding of the game. We focus on body mechanics and mental strength both being important elements of the game. 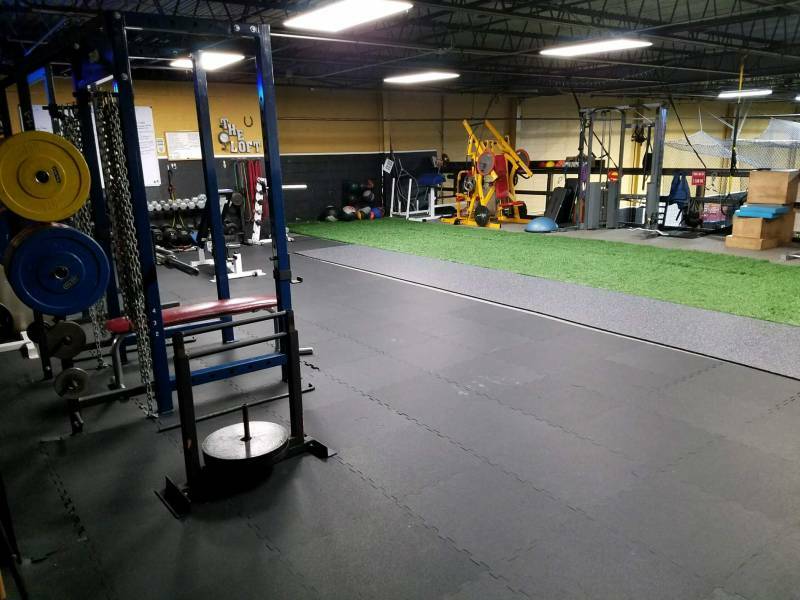 Some specific areas we concentrate on are: Stance, Footwork, Proper Mechanics, Mental Condition and pre-game preparation for injury avoidance. Our advanced technology measures your progress to optimize your training. 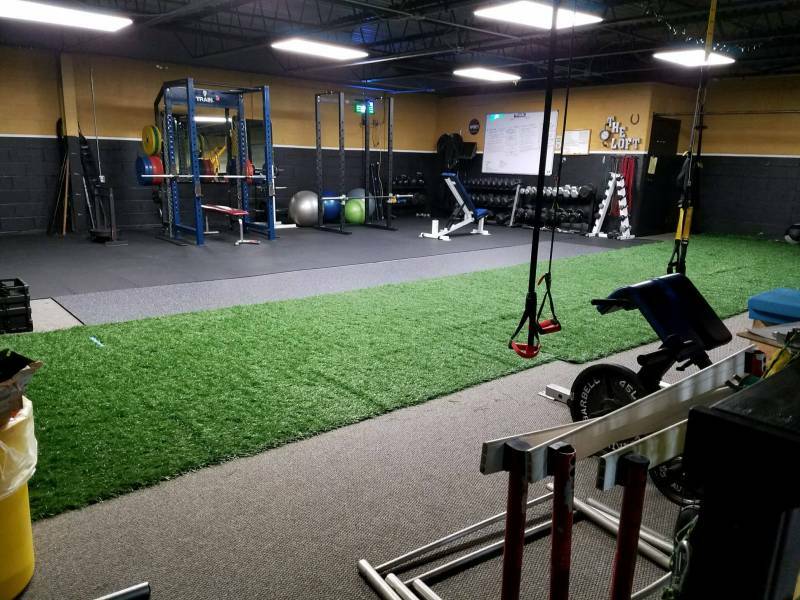 Rates for facility use and training. Cage rental includes balls, "L" screen and tee. Visit us, call us or use our handy contact form. 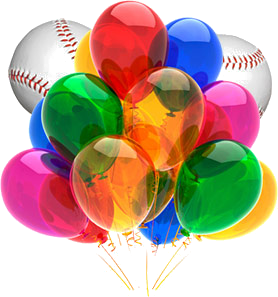 Choose from the American League or the National League party packages. You will experience baseball like you never have before. 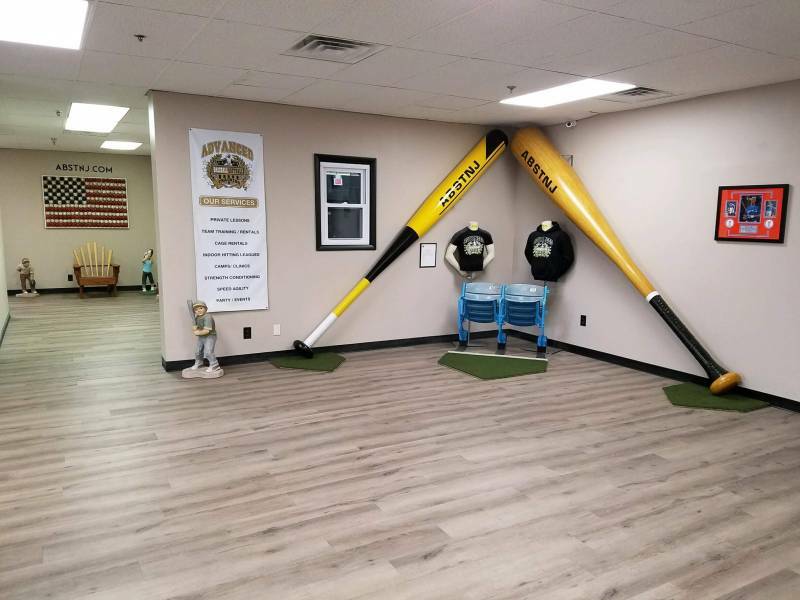 All within our facility. 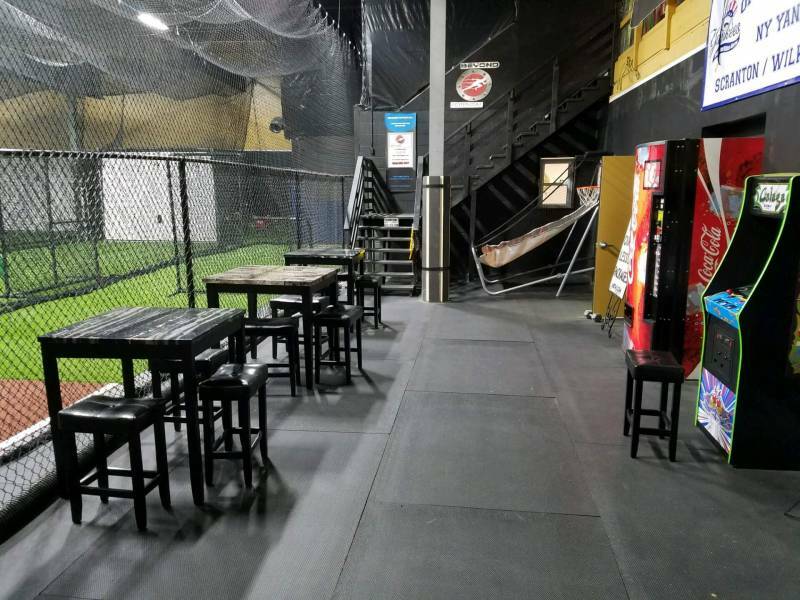 You will be able to PLAY games, have a HOME RUN DERBY and have a BATTING contest. Your best party ever! Hittrax Simulated Baseball/Softball Game! (Adjustable for ages 6 -Adult). 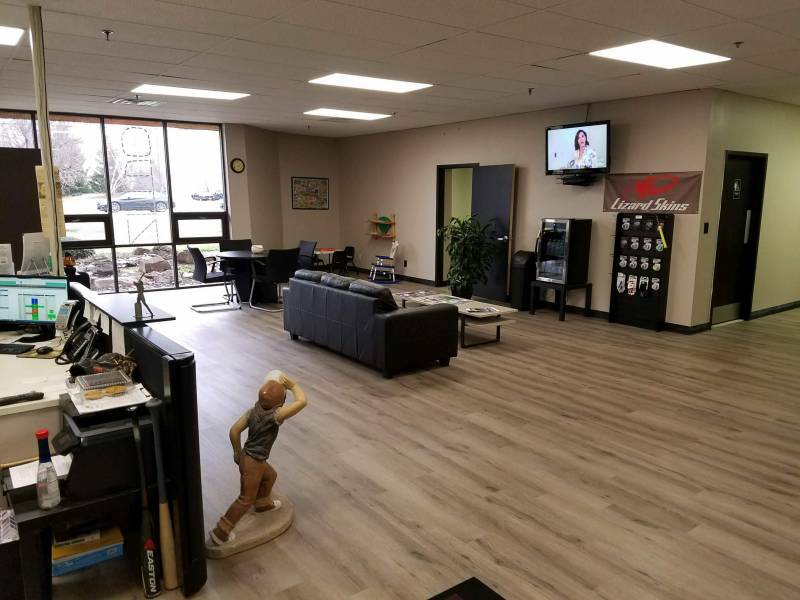 Kids and Parents get to watch where every ball goes and see results on the BIG SCREEN TV. Hittrax Home Run Derby Baseball/Softball! (Adjustable for ages 6 -Adult). Square up against your friends and see who can hit the most home runs or furthest ball. You get to watch how far every ball goes and see the results on the BIG SCREEN TV. 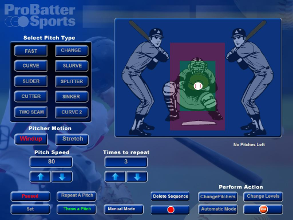 Pro-Batter Video Baseball/Softball Pitching Machine! ( If age appropriate). 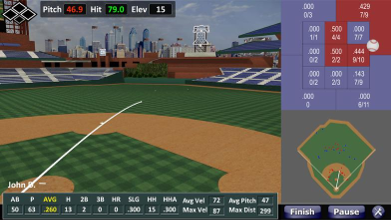 Hit against a simulated LIVE pitcher in your game or home run derby. Adult parties available call for more information! We offer a Free 20 min Slow Motion Video Evaluation for new clients. This evaluation is a valuable tool for designing a training program tailored to you. 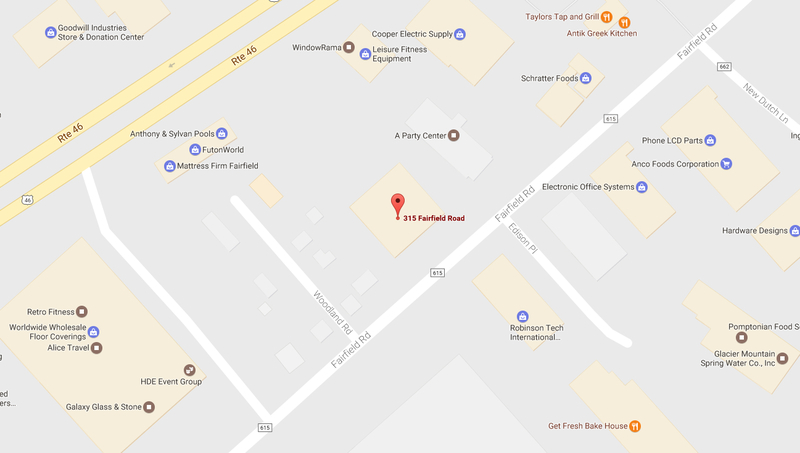 Take a look at our photo gallery and videos.